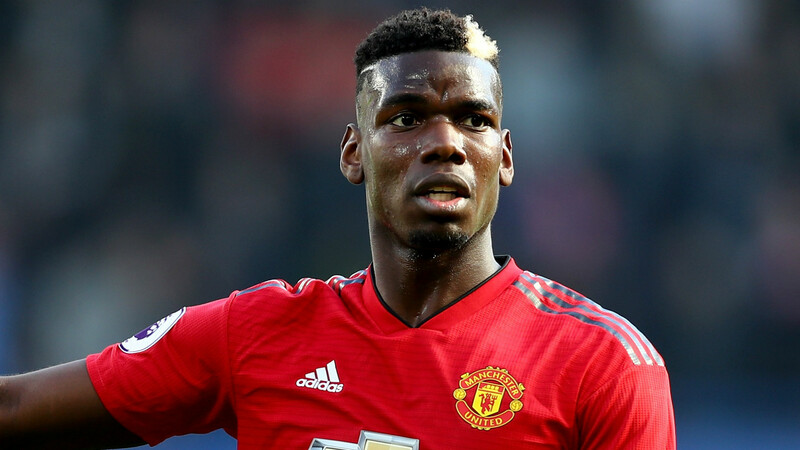 Paul Pogba has firmly established himself as Manchester United’s chief penalty taker this season and the midfielder has been typically experimental when it comes to his approach. The France international has earned a reputation for being expressive, frequently appearing on the pitch with a new hairstyle or trialling a fresh dance celebration and he brings that aspect of his personality into his game too. Pogba’s penalties for the Red Devils this season have raised a few eyebrows due to their unorthodox nature, but that has not prevented him from persisting with the style. Following his most recent effort against Southampton, Goal takes a look at the midfielder’s new penalty technique as well as his overall record from 12 yards for both Juventus and United. What is Paul Pogba’s penalty technique? Ever the innovator, Pogba’s most recent penalty technique involves a stuttered run up to the ball, which is achieved by taking multiple tiny steps before shooting. According to the man himself, the reason behind the protracted approach to taking a penalty is to confuse the goalkeeper, something that, in theory at least, should increase his chances of scoring. However, the fact that Jordan Pickford saved a penalty back in October left the France international unsure of its effectiveness. “I always try to destabilise the ‘keeper, I always shoot like this and that’s how I know how to take penalties,” Pogba explained after the Everton game. He has persisted though – albeit with fewer steps – and it has served him well since. How many steps does Paul Pogba take in his penalties? Pogba’s unusual penalty-taking technique has prompted widespread derision, with pundits, players and even his own team-mates poking fun at the seemingly interminable journey he makes to the 12-yard marker where the ball waits patiently to be struck. The number of steps the Frenchman takes in the run up varies from penalty to penalty, but his attempt against Everton in October involved a total of 28 steps – the most this season so far. Remarkably, in the case of the Everton penalty, 9.96 seconds elapsed from the moment Pogba started his run until the moment he struck the ball, a fact which did not go unnoticed on social media, with videos humorously juxtaposing the penalty with Usain Bolt’s 100 metre world record sprint, which was completed in 9.58 seconds. The number of steps taken gradually increased since he first pioneered the approach this season, albeit with an anomaly appearing in his penalty against Brighton in August. Pogba took 19 steps for his successful penalty against Leicester, but that figure dropped to just eight for the penalty goal against Brighton. He missed his next effort, against Burnley in September, after taking 20 steps in the lead-up, but scored in the Champions League against Young Boys after 25 steps. The comically exaggerated run up returned in January – against Brighton and Burnley again – but the number of steps had fallen by more than half the previous efforts. Pogba has hit penalties for both Juventus and Manchester United, but his record is actually quite inconsistent. Pogba was junior to the likes of Andrea Pirlo during his time at Juventus, but he took two penalties while in Serie A, scoring his first against Genoa and missing against Atalanta. He first stepped up to hit a penalty for the Red Devils in 2016, scoring from the spot in a 4-1 Europa League group stage victory over Fenerbahce, but he would have to wait until 2018 for his next chance. Prior to the 2018-19 campaign United had no outright penalty taker, with the likes of Anthony Martial, Alexis Sanchez and Romelu Lukaku each assuming the responsibility. Pogba has stepped up to the plate this season, utilising his bizarre approach to varying effects, as can be seen in the table above.